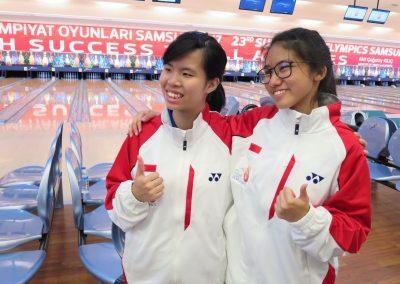 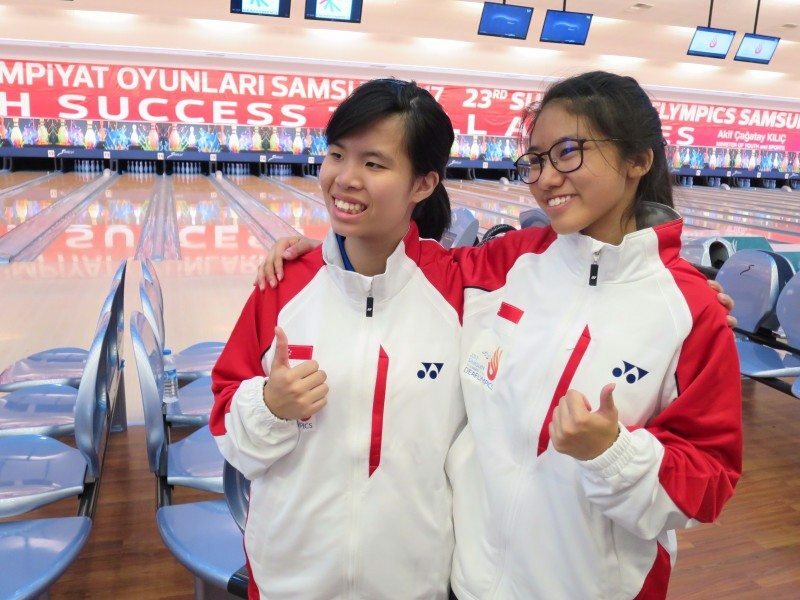 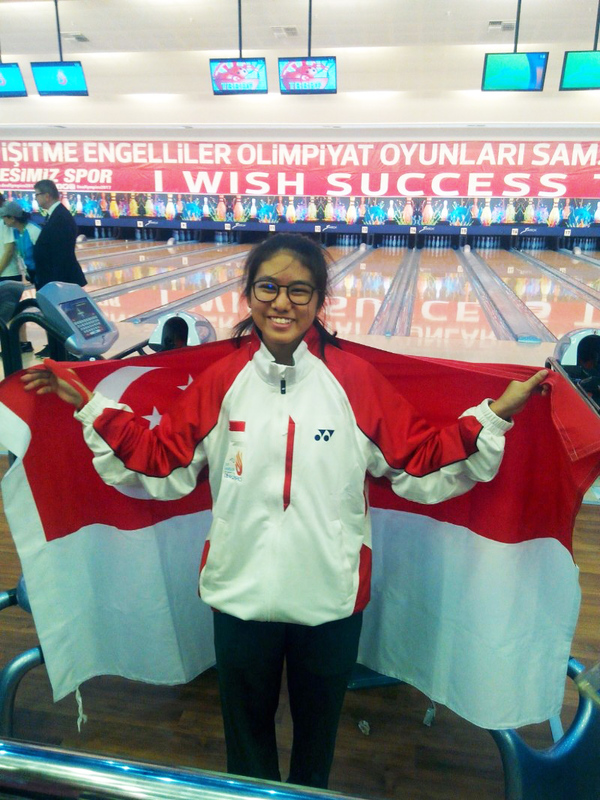 At around 10pm Singapore time (5pm Samsun time) last night, Singapore earned its first Deaflympic Games medals at Samsun, Turkey, when game debutants Adelia Naomi Yokoyama and Kimberly Quek Hwee beat powerhouses such as South Korea and Russia in the Women Master bowling event. 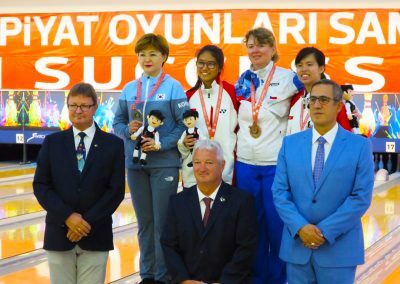 18-year-old Adelia emerged victorious after five grueling rounds, ending with a flourish when she took the gold from Women All Events champion, South Korea’s Kim Jieun in the finals of Women Masters. 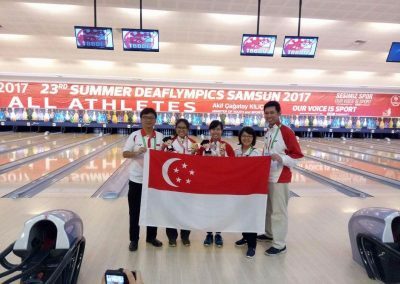 South Korea currently ranks third in the medal tally for Deaflympics 2017. 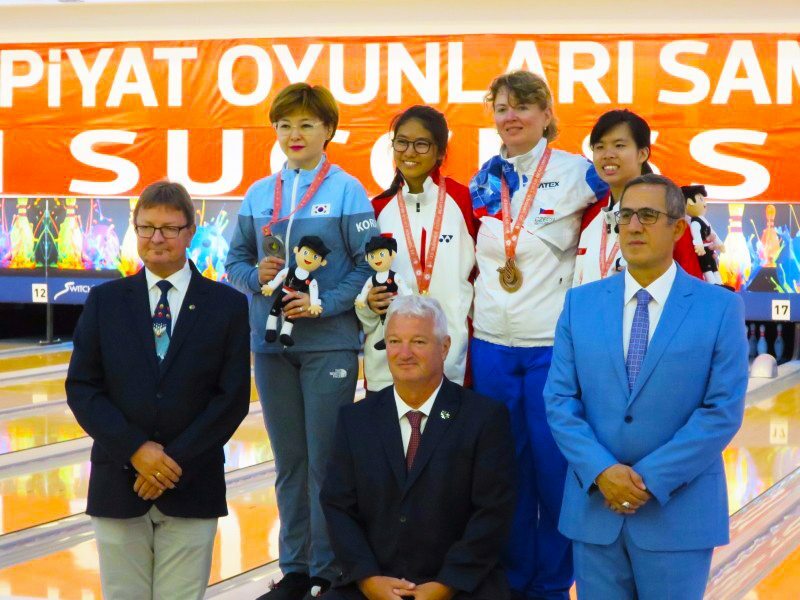 In the lead-up to the finals, Adelia also overcame strong Russian opponents like Lotina Olga Veleryevna, Women All Events bronze medalist. 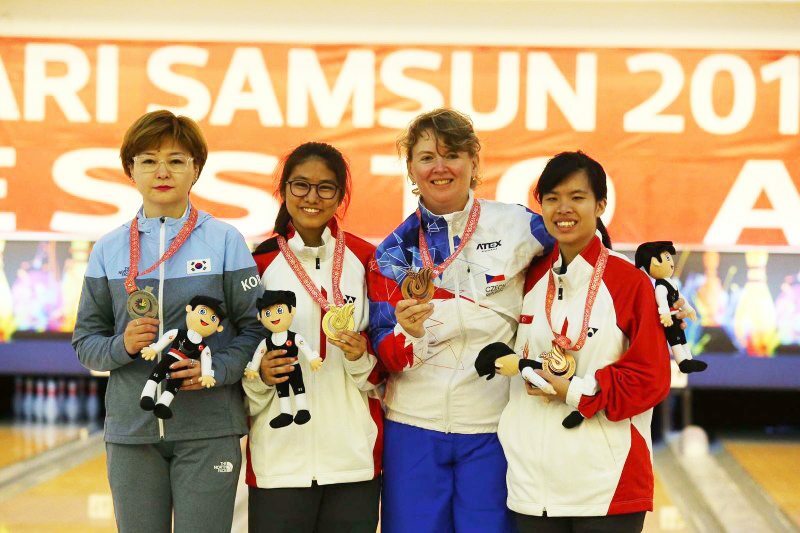 Russia currently tops the medal tally chart, with close to 200 medals under its belt. 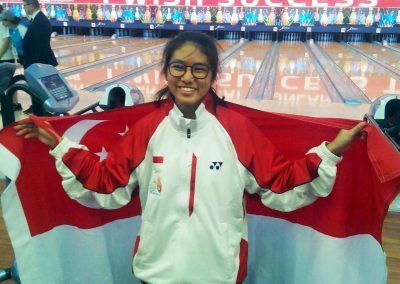 17-year-old Kimberly Quek put up a tough fight as well, beating South Korean Women Singles bronze medalist Choi Seonkyeong in the quarter-finals to enter the semis. 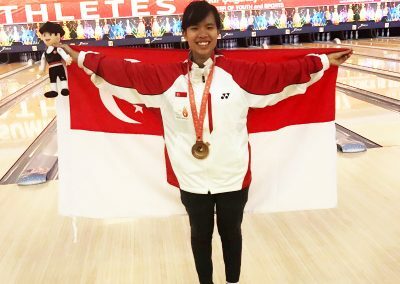 She eventually lost to Kim Jieun, who was also the Women Singles silver medalist. 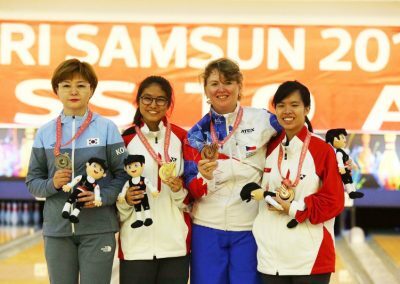 After calculating pin falls, Kimberly landed a bronze medal together with Czech bowler, Janoscova Katerina. 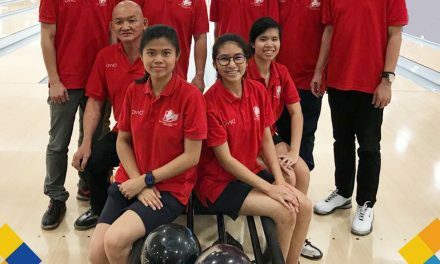 The girls’ wins has far exceeded the Deaf Sports Association (Singapore), DSA, initial hopes of bringing home Singapore’s first Deaflympic medal. 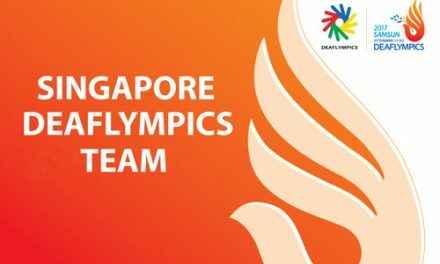 Chef de Mission Mr Loh Eng Meng described the wins as “out of his wildest dreams”. 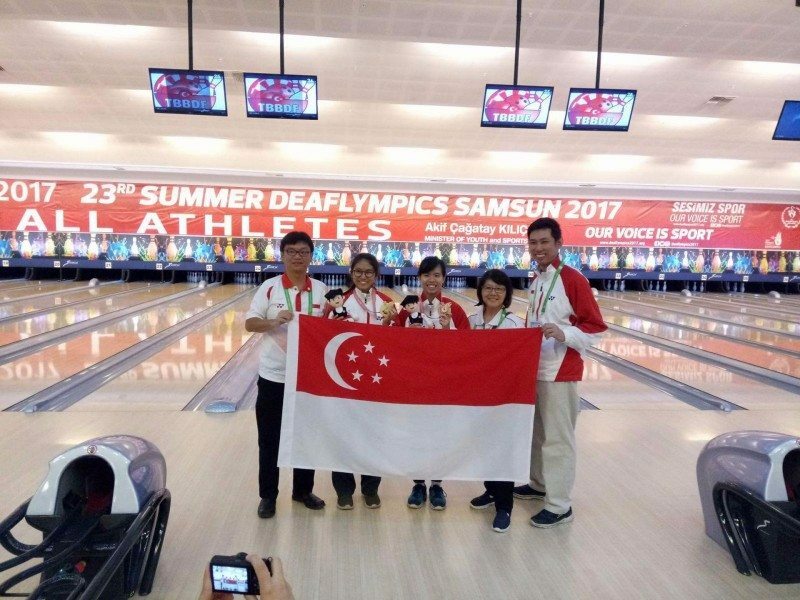 Mr Loh started Deaf Sports Association (Singapore) in 2012 after a prolonged period of serving the deaf community in various ways. 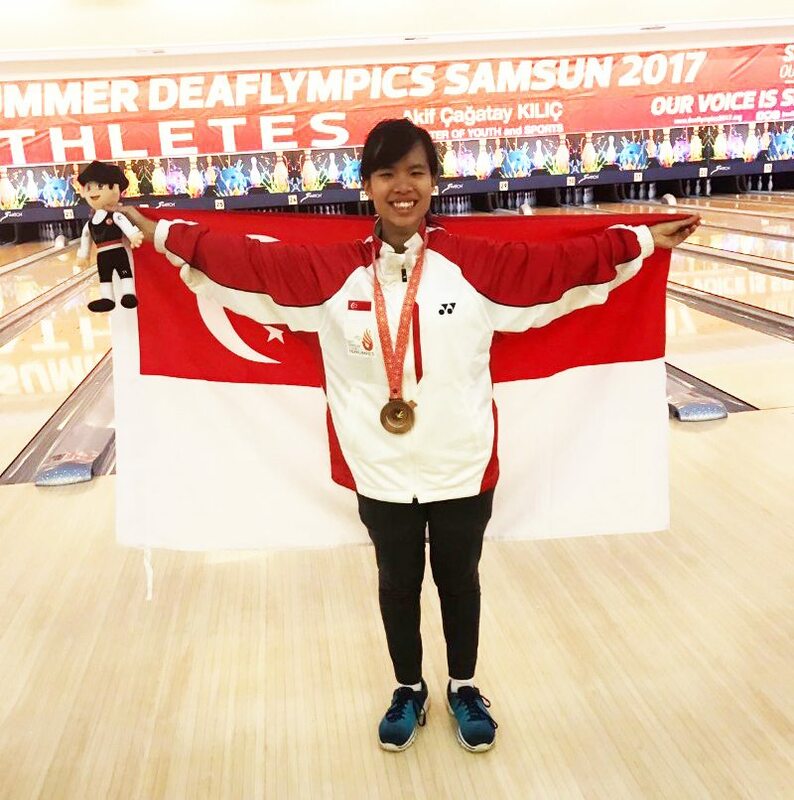 Deaf sports had always been central to his advocacy to help deaf persons, especially deaf youth, gain inclusion. 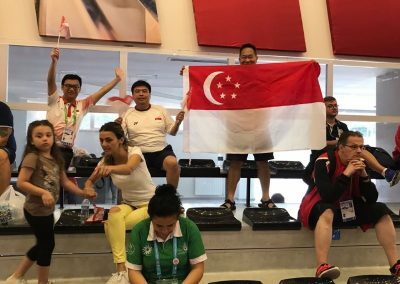 The girls’ wins propelled Singapore to place 30th in the overall medal tally, out of 97 countries participating in Deaflympics 2017. 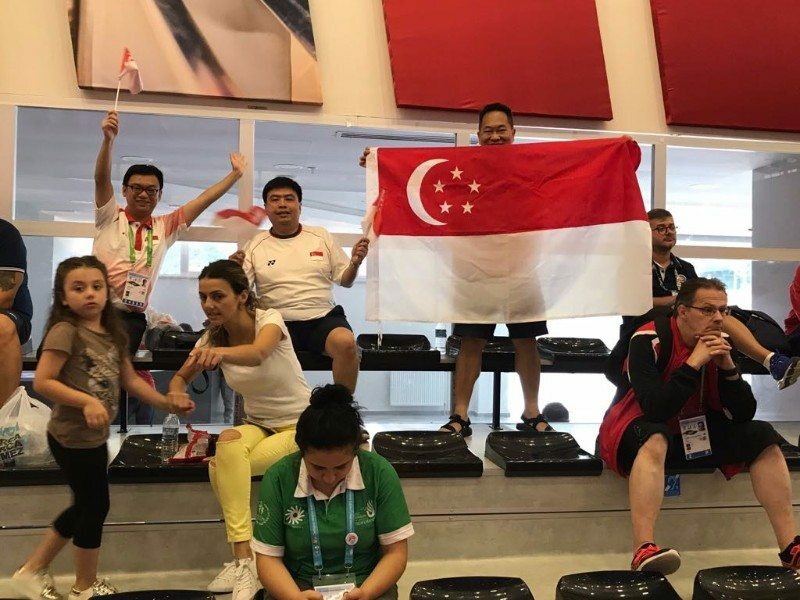 A total of 3145 athletes are participating in the games, one of the biggest sporting events beside the Olympics and Paralympics. 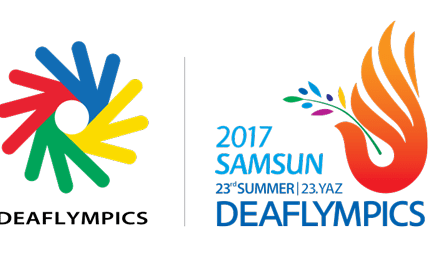 For more information on Deaflympics 2017, visit official web site. 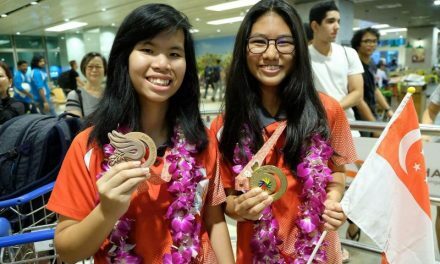 NextWelcome home our Deaflympics heroes!